Mecca for Misery.Farm workers line up to cash their checks in Mecca, Ca. Most workers earn between 7-9 dollars per hour for picking grapes in triple digit temperatures. 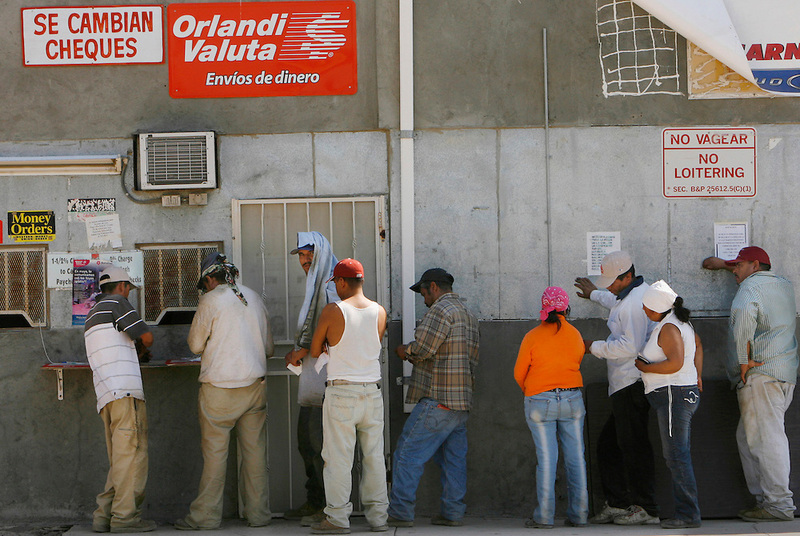 Many workers try to be frugal so they can send some money back to their families in Mexico.